Naturally John Rain is the main star of the Rain series of books and not surprisingly he has a string of allies and an even longer list of enemies. 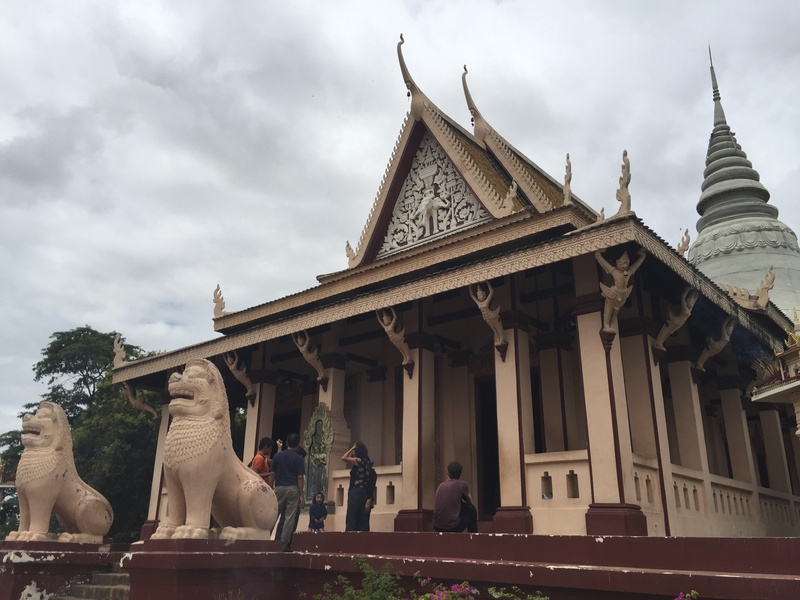 To date, the author Barry Eisler has released four short stories (via download only) featuring a selection of these characters and ‘The Khmer Kill‘ (2012) follows his closest ally Dox in Cambodia. Dox is a freelance assassin and former Marine Sniper with a Southern twang who first appeared in the 2005 third Rain novel ‘Rain Storm‘ (now retitled as ‘Winner Takes All‘) proving himself an able and trustworthy partner for Rain and subsequently they have gone on to co-operate and even form a friendship in the Rain books which have followed. Though intended for Kindle purchase, these Eisler short stories can be downloaded via the Kindle app on your tablet or smart phone but I couldn’t figure that out so in the end settled quite happily for an audio spoken-word download of ‘The Khmer Kill‘ in anticipation of my recent trip to Cambodia. It was quite nice to just lie back and listen to Eisler reciting his work in 90 minutes thus saving me a lot of time and trouble. The story opens with Dox perched on a stone bench in the Courtyard of the National Museum (a place he’d already been to twice) in December awaiting his noon long-range hit assignment from Mike Gant at the table in one of the pictures below. 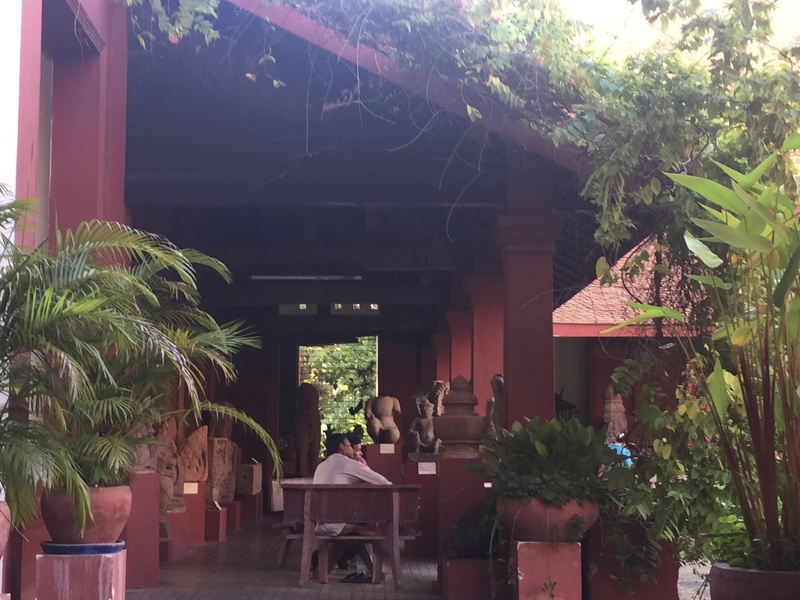 It costs $5 to enter the museum and features a splendid collection of Khmer sculpture housed within four pavilions surrounding the beautiful garden. 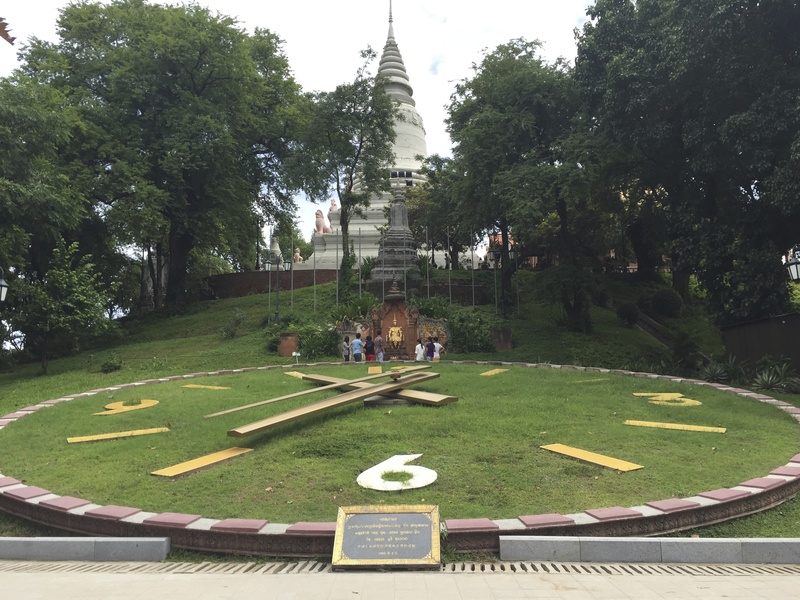 Having arrived in town for his mission ten days ahead of schedule, Dox just wants to blend in and look like any other traveller so joins the tourist hordes at both the Royal Palace and Silver Pagoda (below) and snaps photos there. 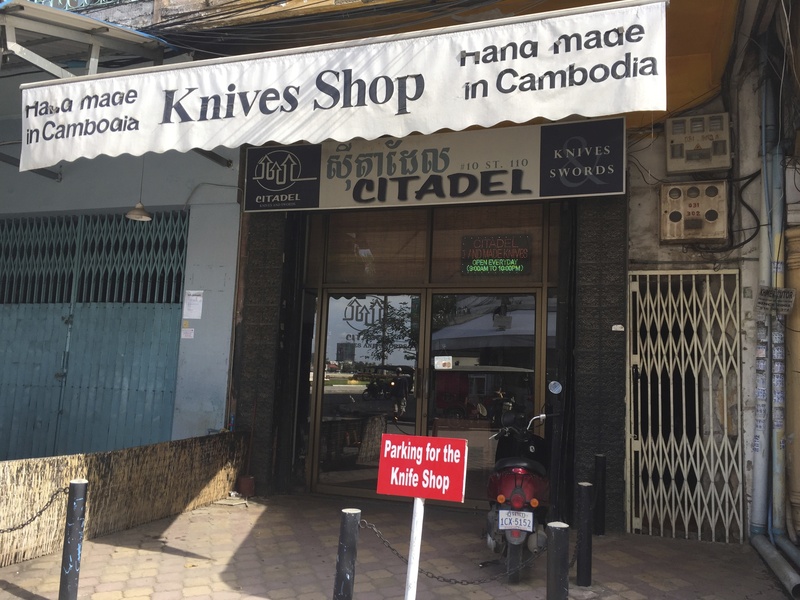 Citadel Knives & Swords (below) can be found at the corners of 10 Street 110 and Sisowath Quay and has been proudly making such tools locally since the end of the last century. 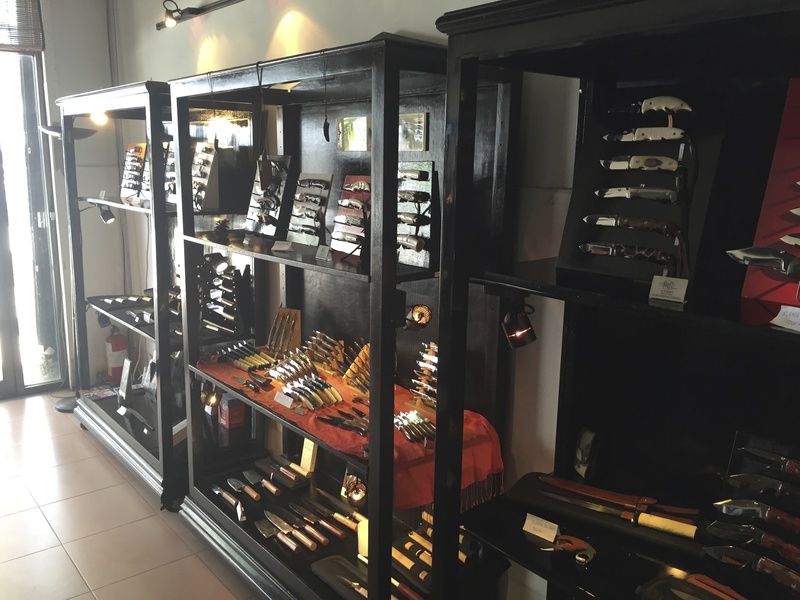 Dox picks up a folder at this legendary institution containing a handmade specimen. 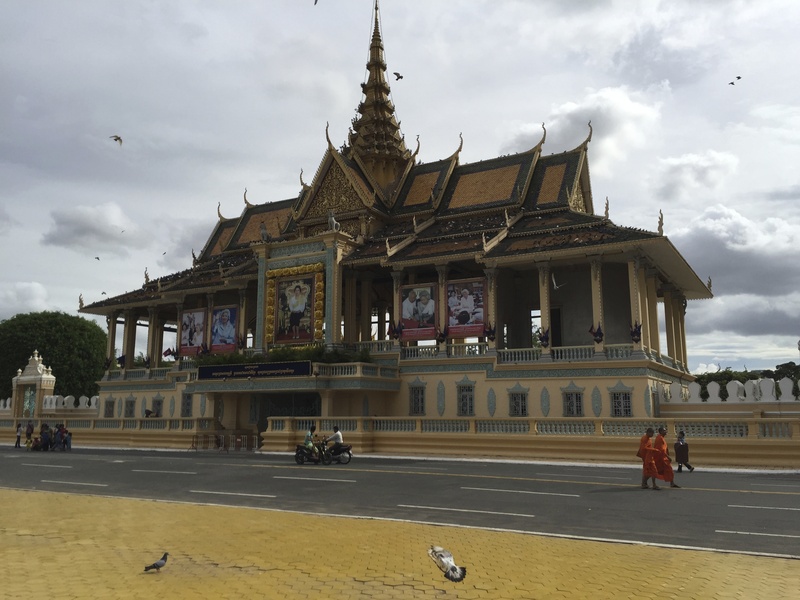 The most famous temple in Phnom Penh is Wat Phnom (below) which gets a couple of mentions. It’s main use is just as a reference in a pre-arranged exchange between Gant and Dox to make sure that the former has his intended man. Dox later skirts the green oasis of the temple on his way to a bar called Rubies. Another noon meeting for Gant and Dox takes place at Rubies on Street 240 where a canvass bag of weapons is exchanged. This bar has either disappeared or moved as I went to the place where it was supposedly located but there . 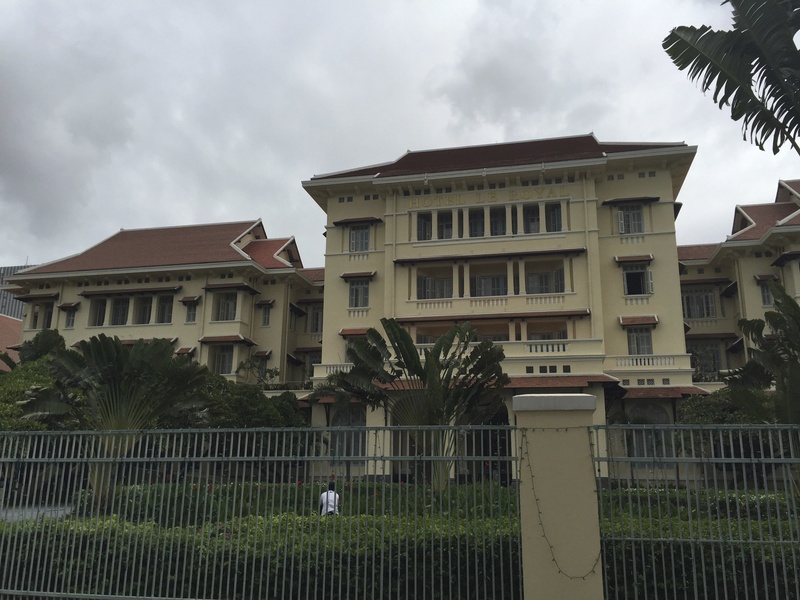 Following our trip to the Killing Fields and Tuol Sleng Prison Museum on my birthday we got dropped off near the Royal Palace at 389 Sisowath Quay hoping to have some lunch at Khmer Borane. 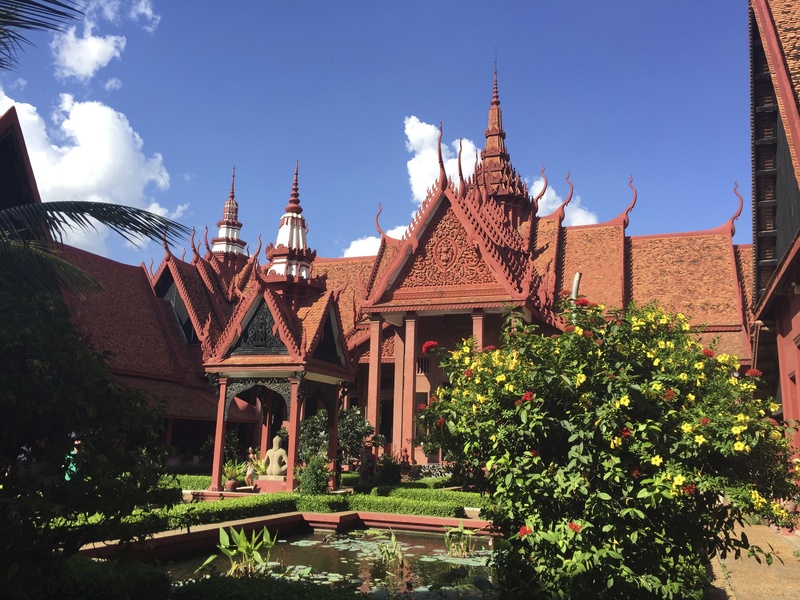 There was a restaurant there with an open air patio out front but it was no longer the one featured in ‘The Khmer Kill.’ In the story Gant wants Dox to shoot the person he is with in this restaurant. I’d forgotten in my research that the place had moved much further up the same road near to the Chinese and Japanese Bridges. Khmer Borane is now located at 95 Sisowath Quay as I actually wrote down on the reverse side of my piece of paper! If only I had flipped over that note! 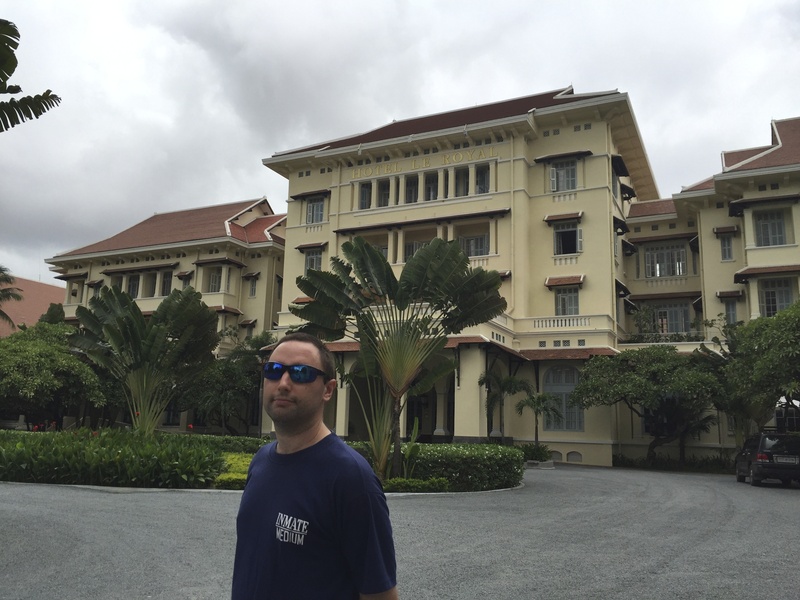 This entry was posted in Asia Travel, Books and tagged A Dox Short Story, barry eisler, Citadel Knives & Swords, john rain, john rain phnom penh locations, Khmer Borane, Raffles Hotel, Rubies, The Khmer Kill. Bookmark the permalink. Wow. 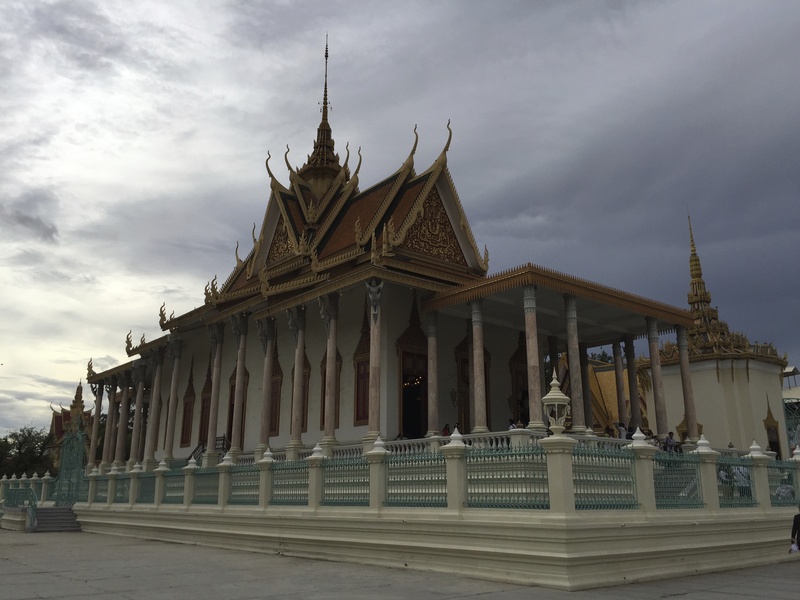 The Courtyard of the National Museum and the Royal Palace and Silver Pagoda look amazing. Would love to visit some day.